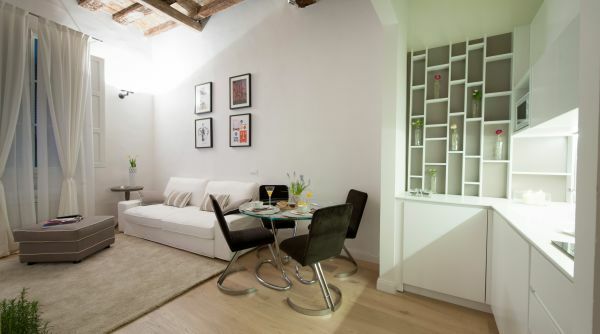 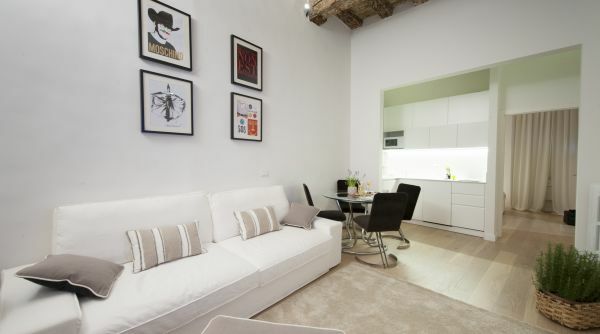 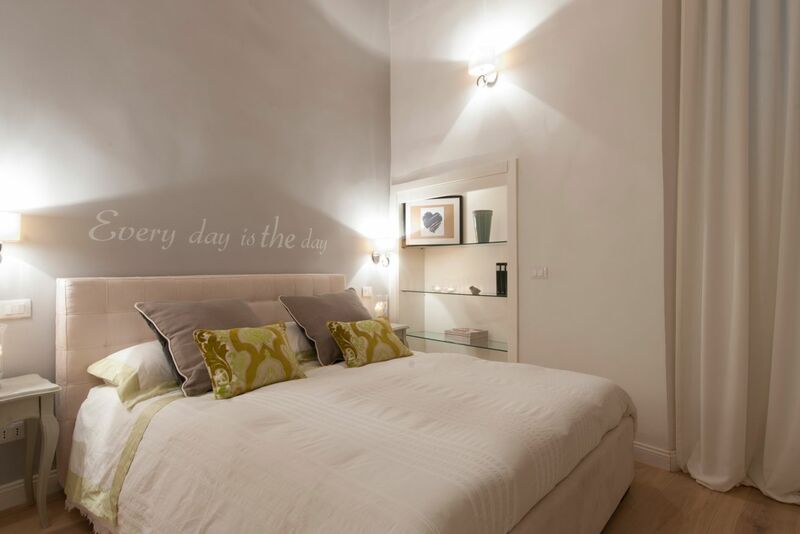 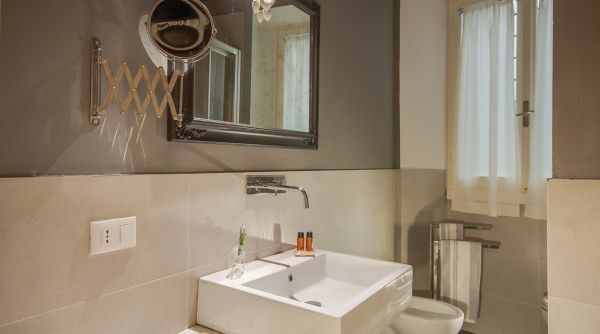 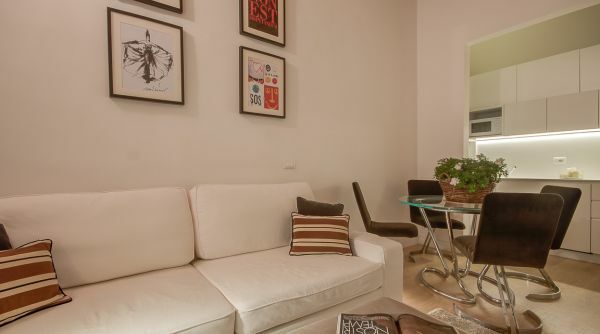 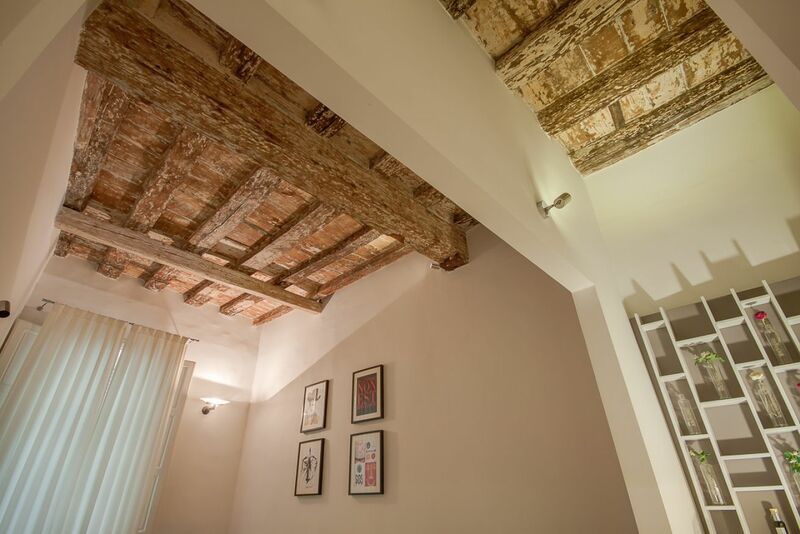 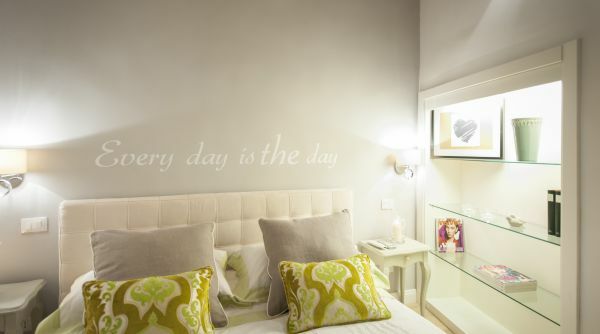 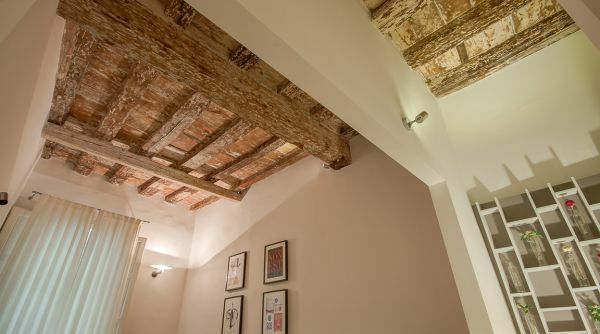 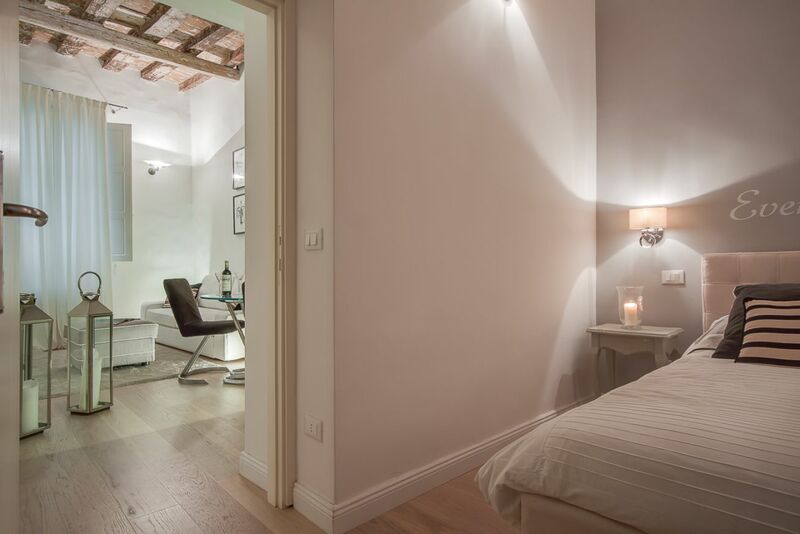 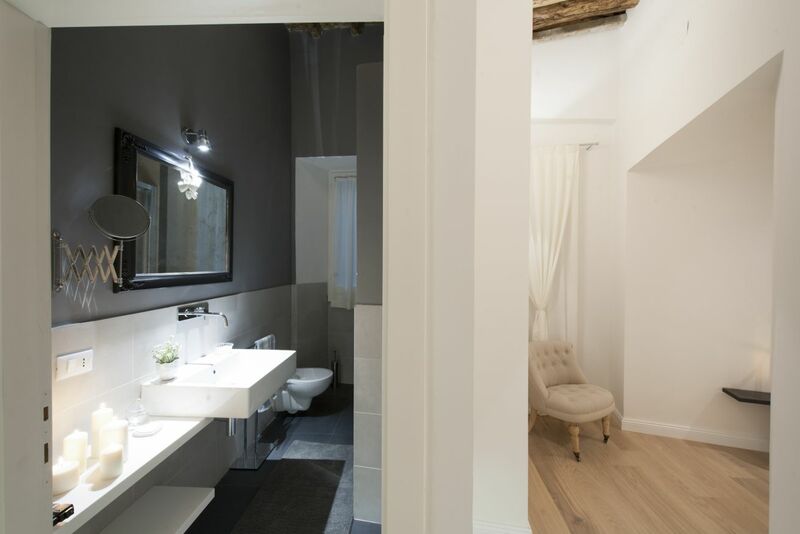 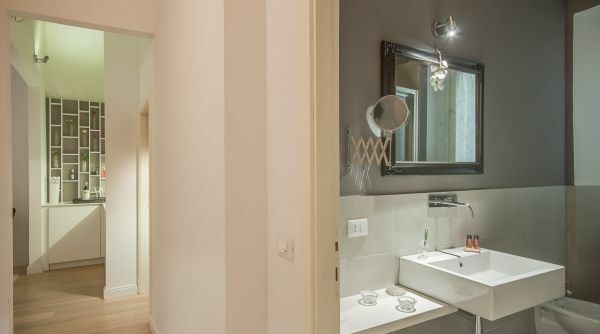 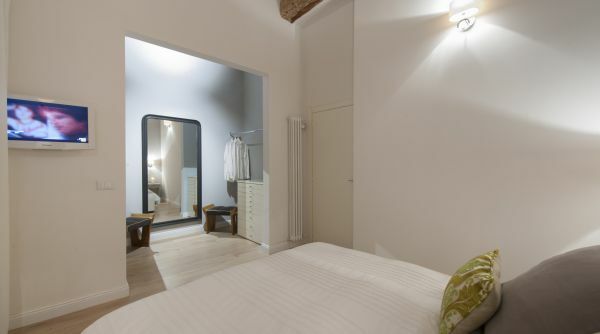 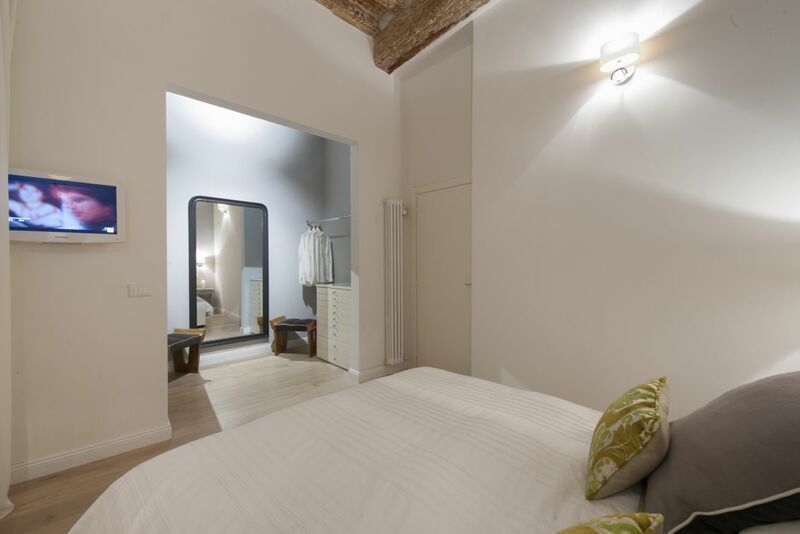 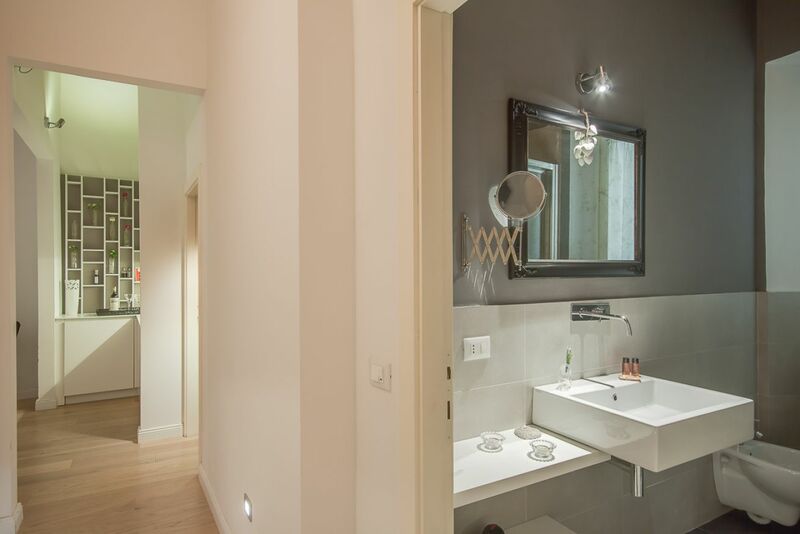 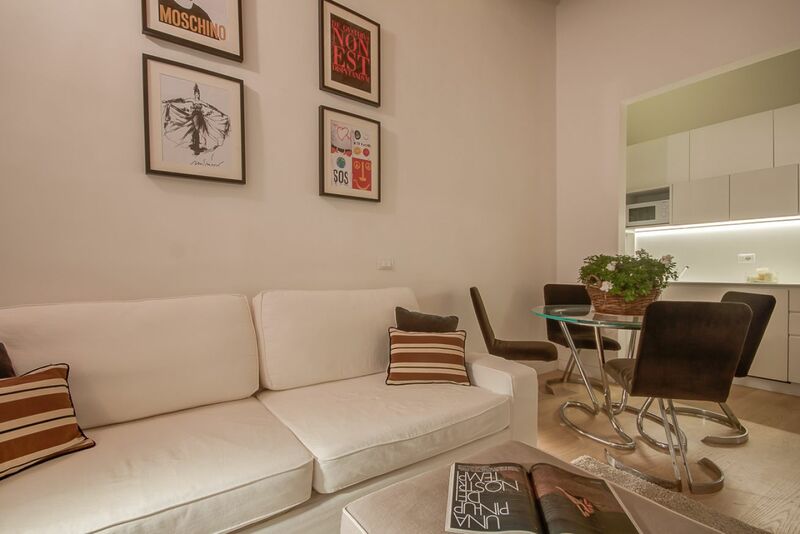 Tastefully decorated 1-bedroom, 1-bathroom apartment that combines old Florentine charm with modern tranquility. 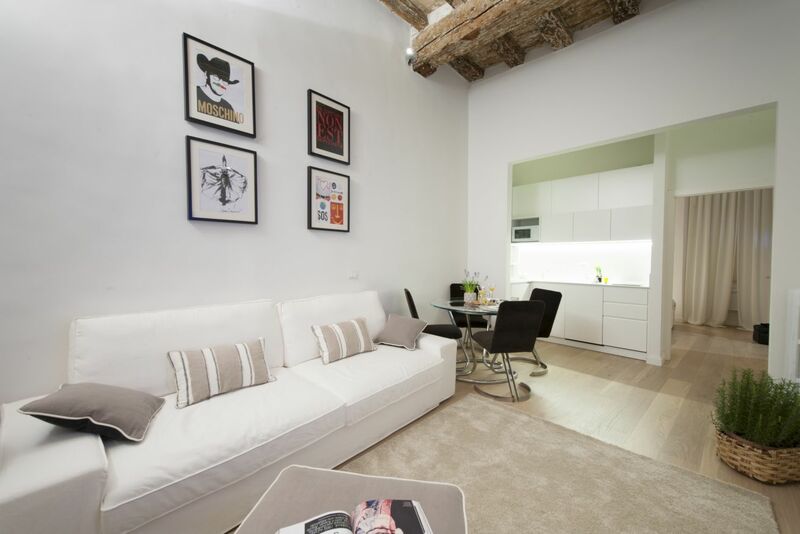 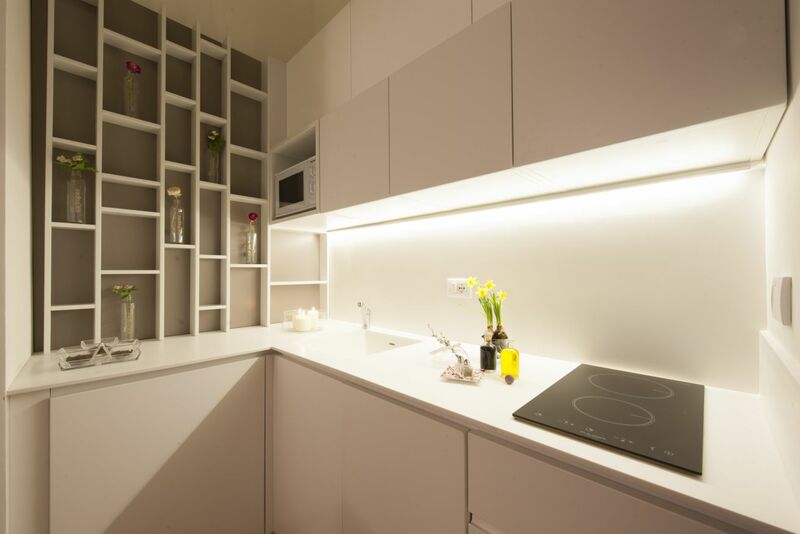 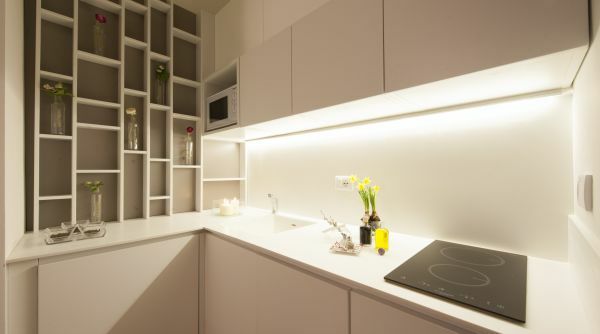 This bright and airy apartment offers you the highest standards of comfort. 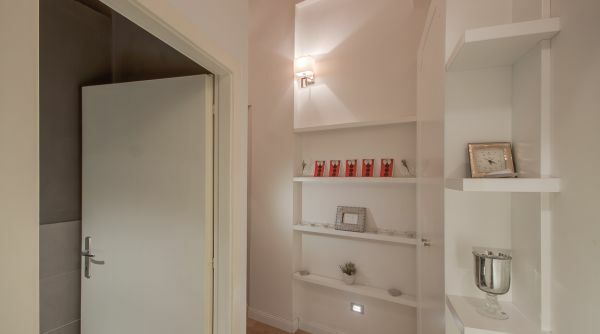 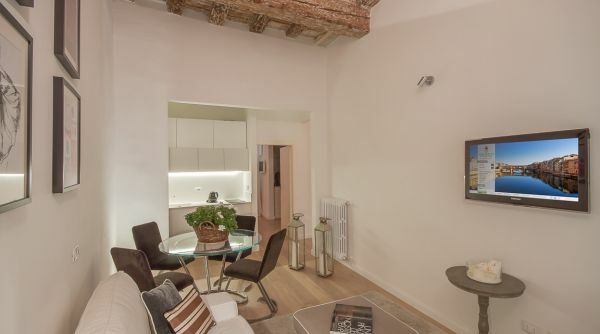 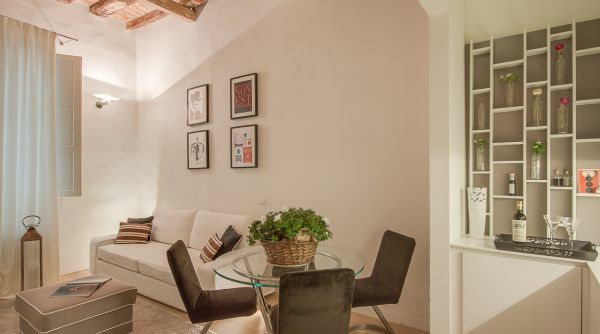 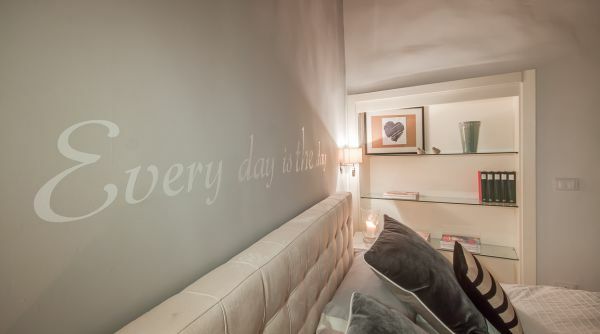 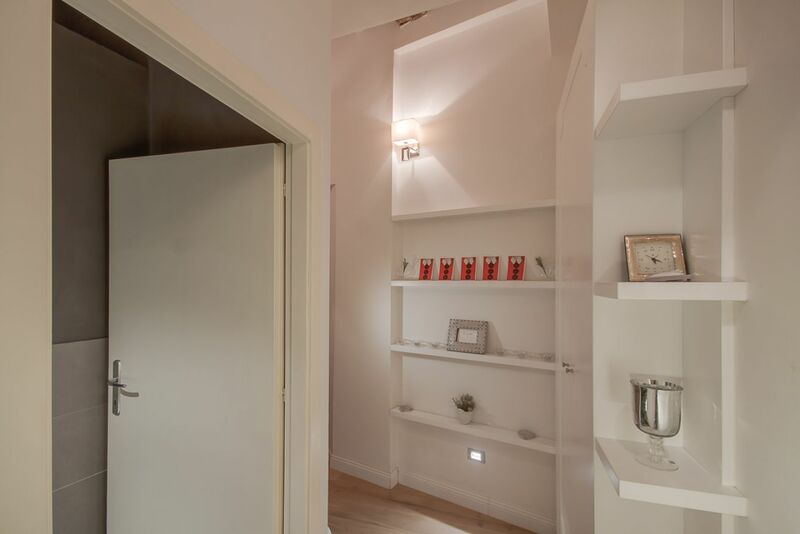 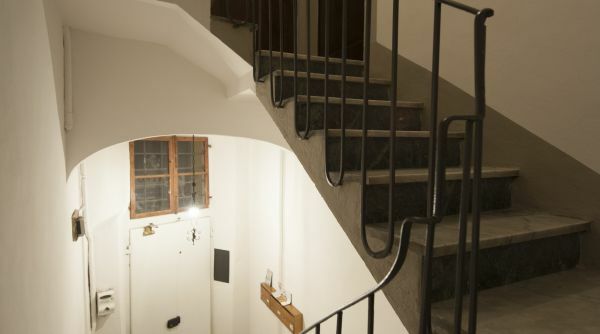 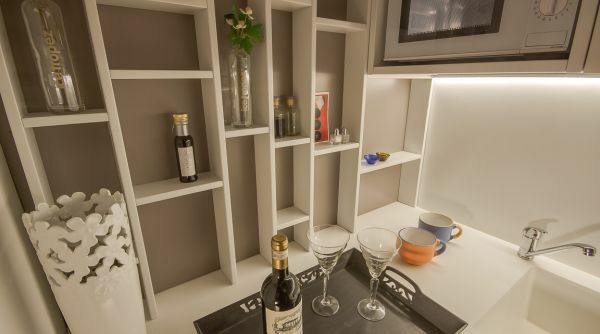 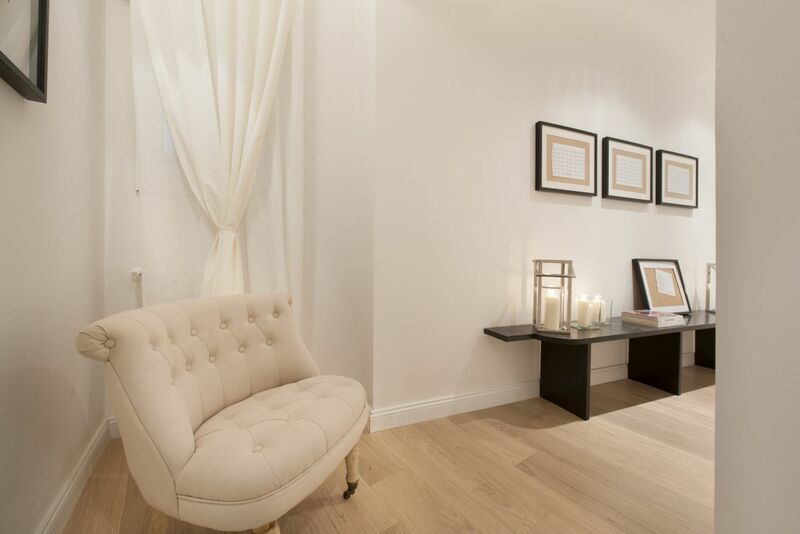 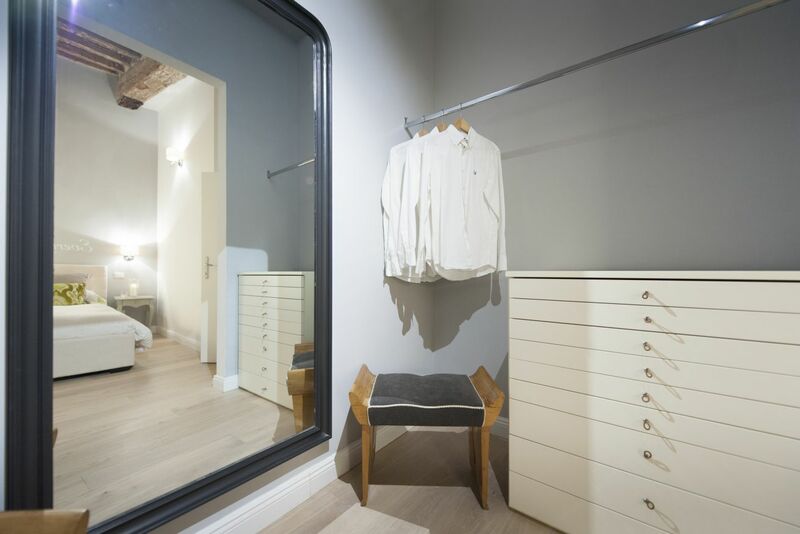 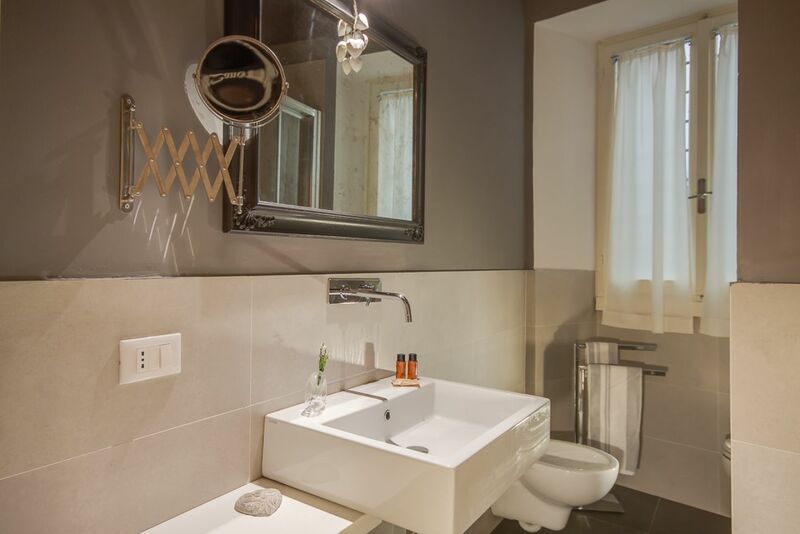 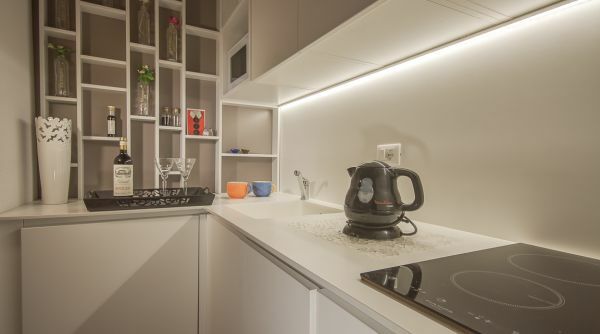 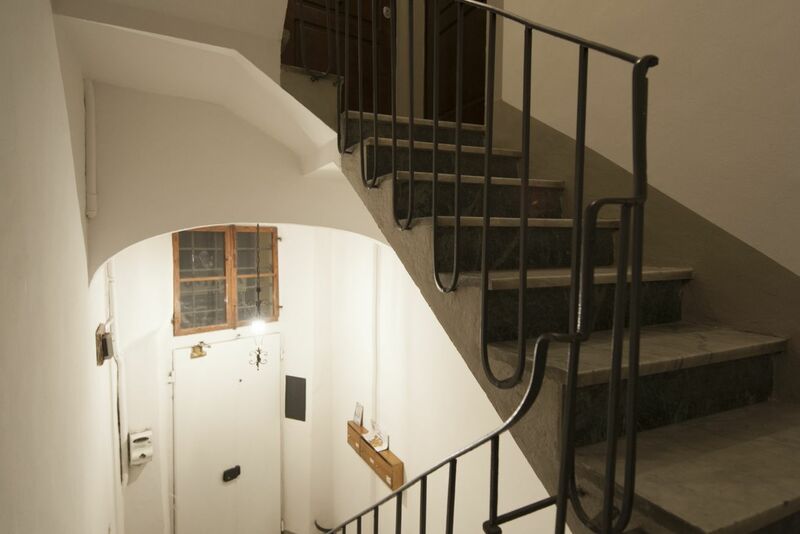 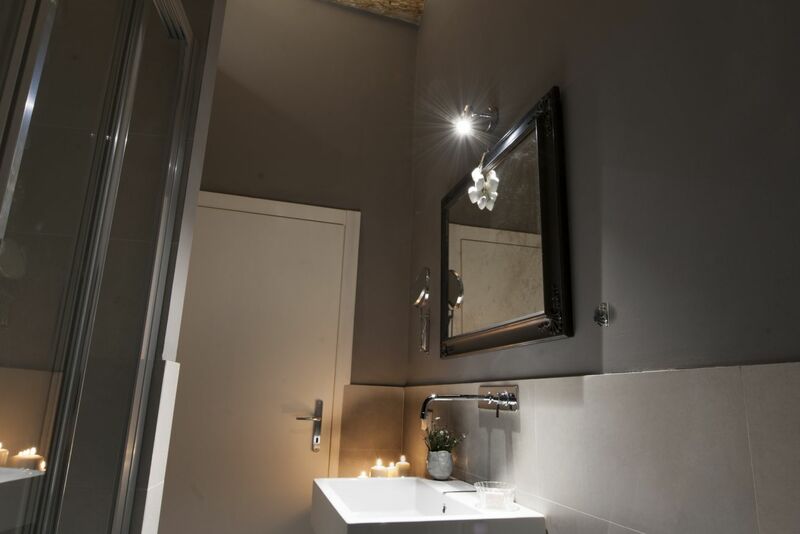 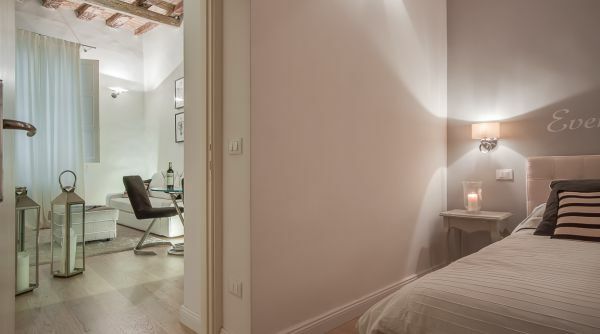 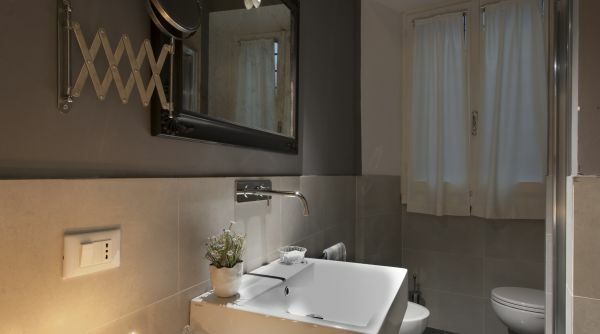 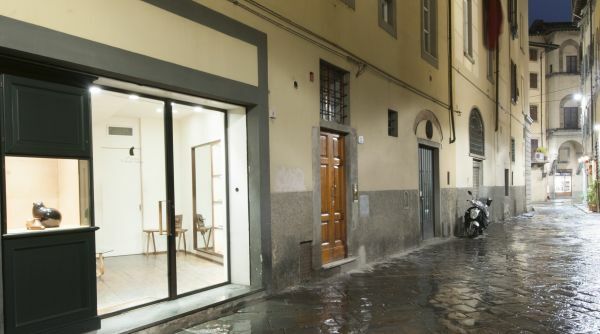 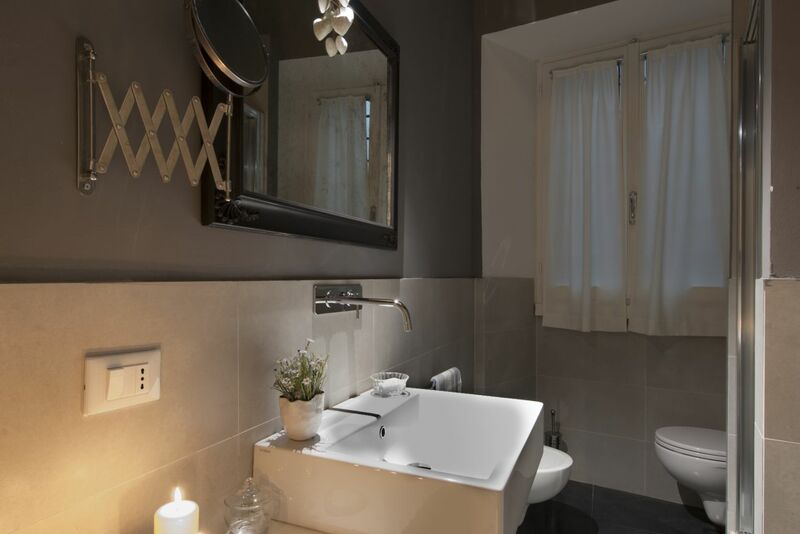 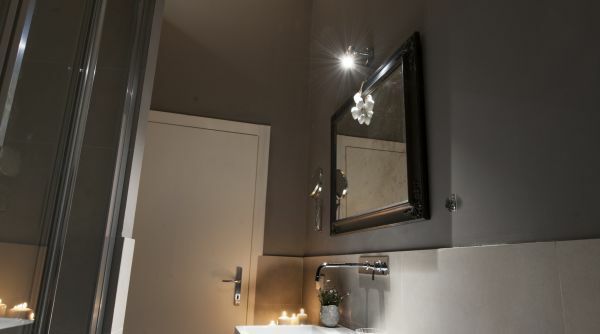 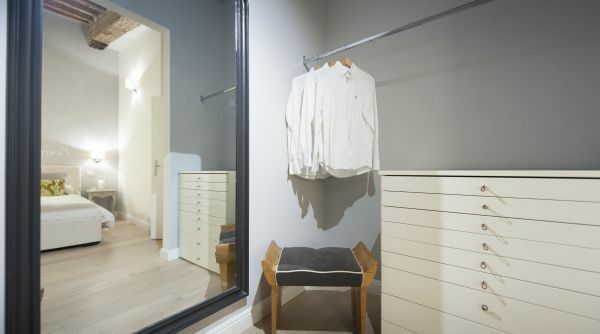 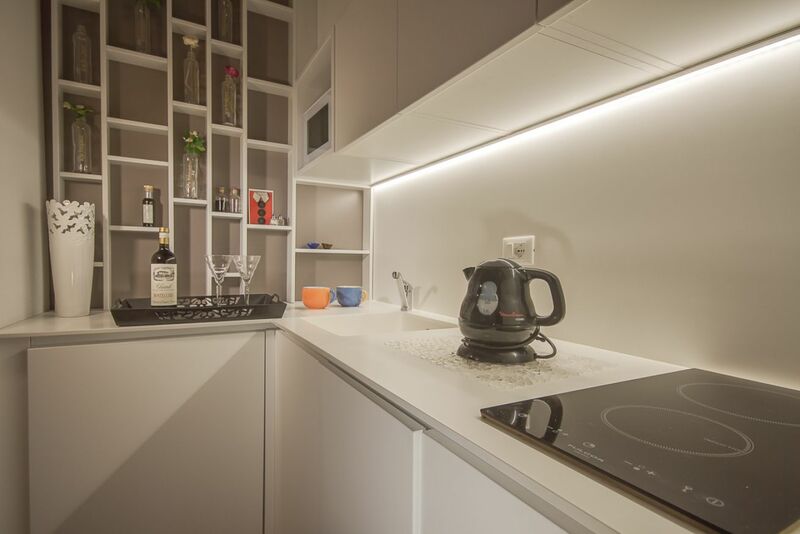 Located on the first floor of an elegant building on a picturesque, cobblestone street, just a turn away from Via della Vigna Nuova and a short walk to the luxurious Via Tornabuoni. 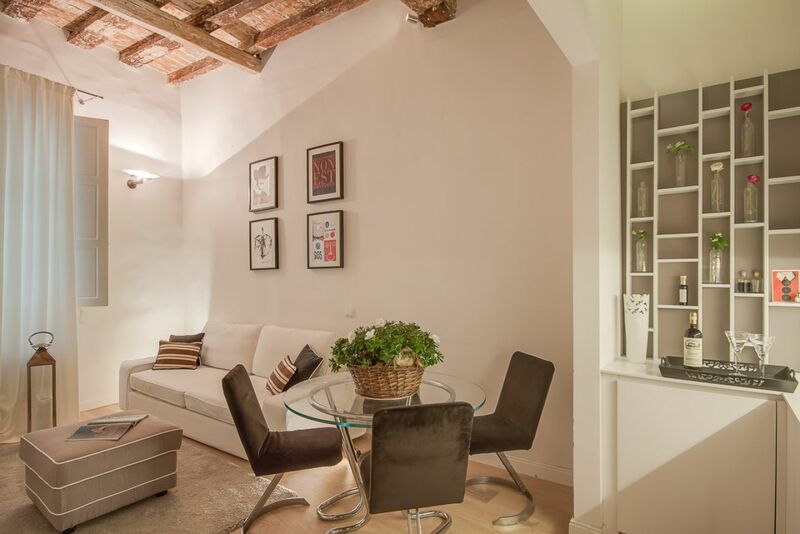 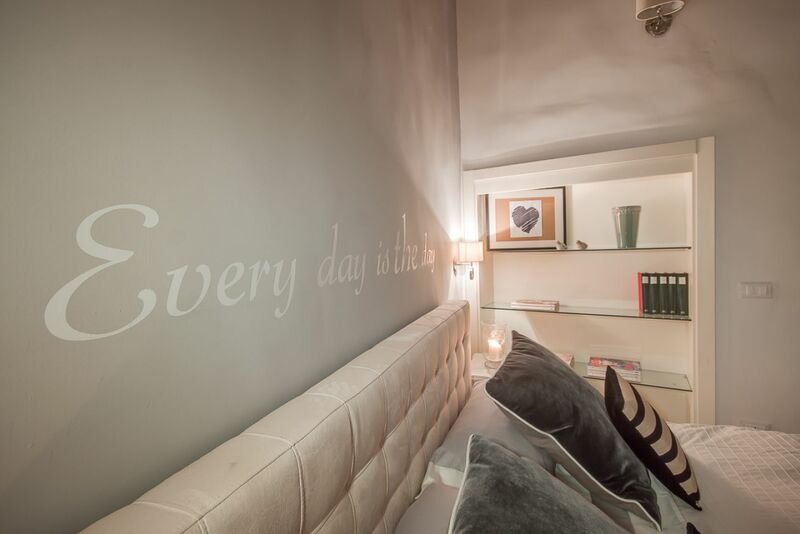 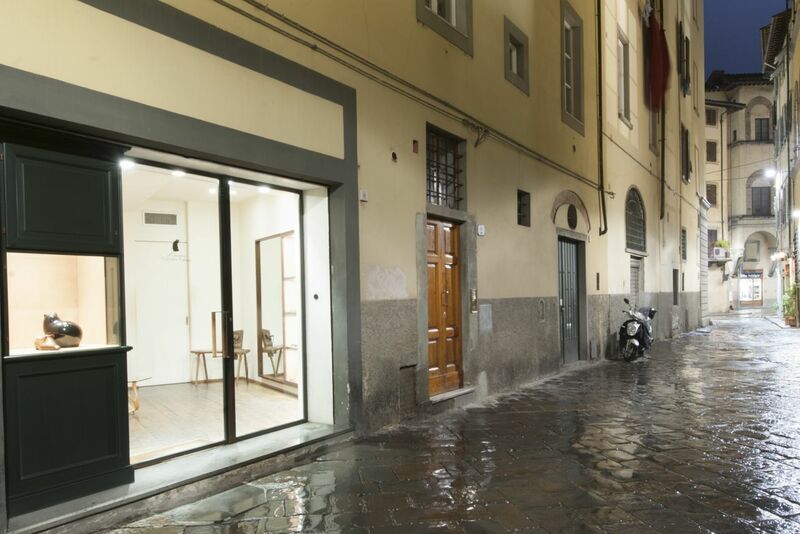 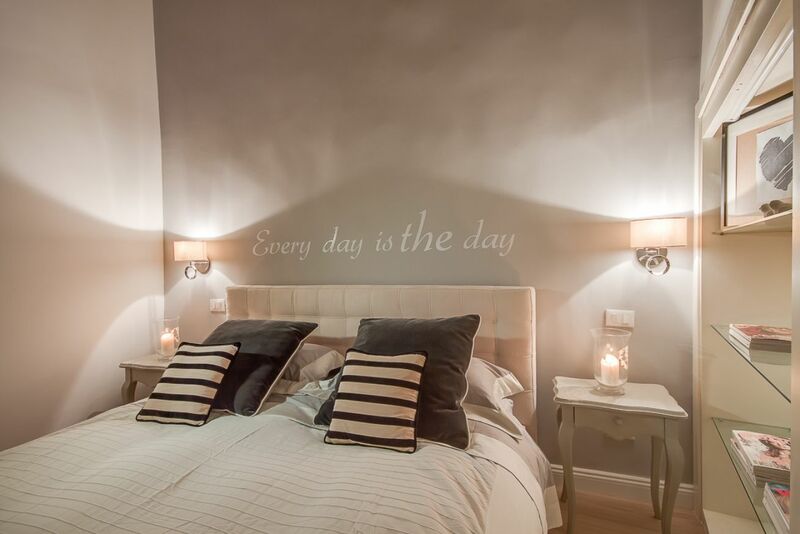 You are truly in the heart of Florence’s finest shopping and historical landmarks. 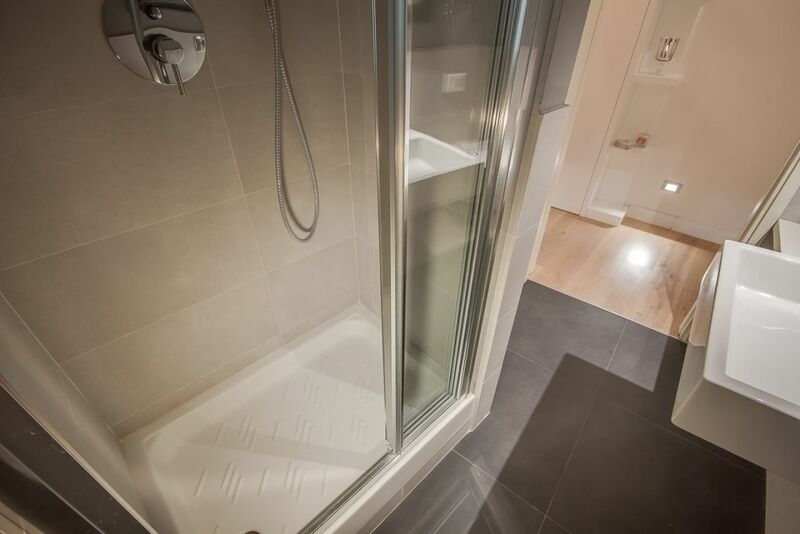 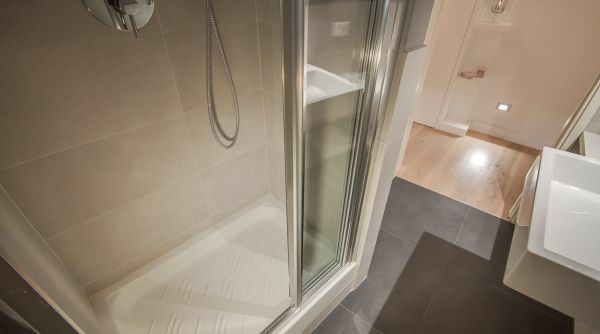 The apartment can accommodate up to 4 people with 1 bedroom and one full bathroom with a shower. 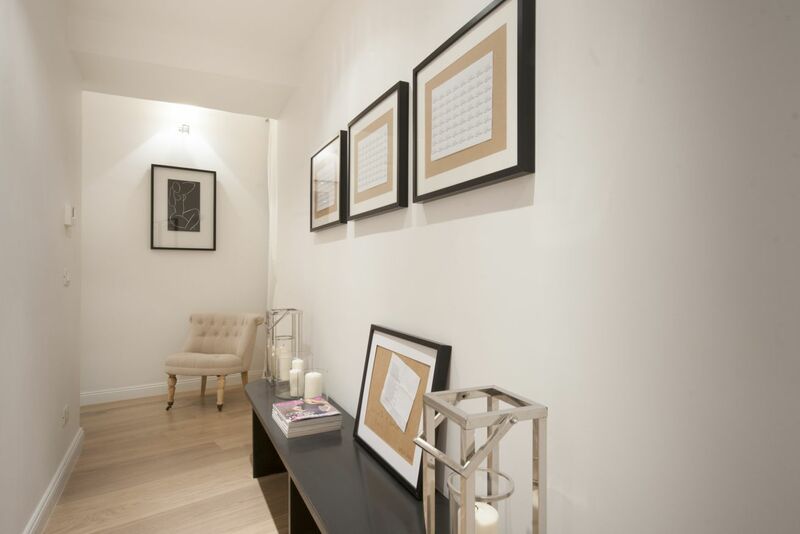 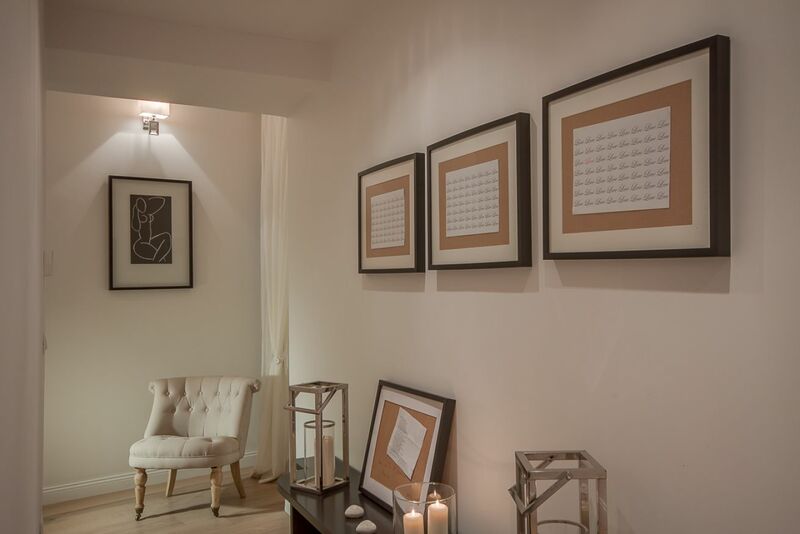 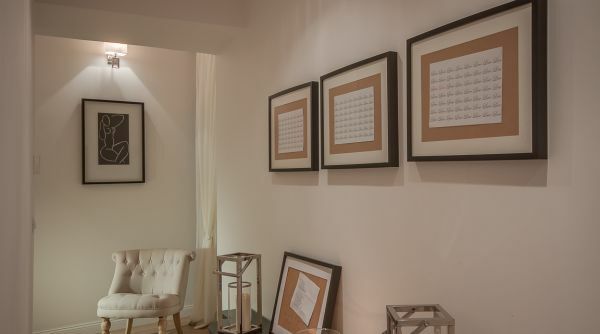 As you enter the apartment the tasteful attention to detail is visually apparent in each room. 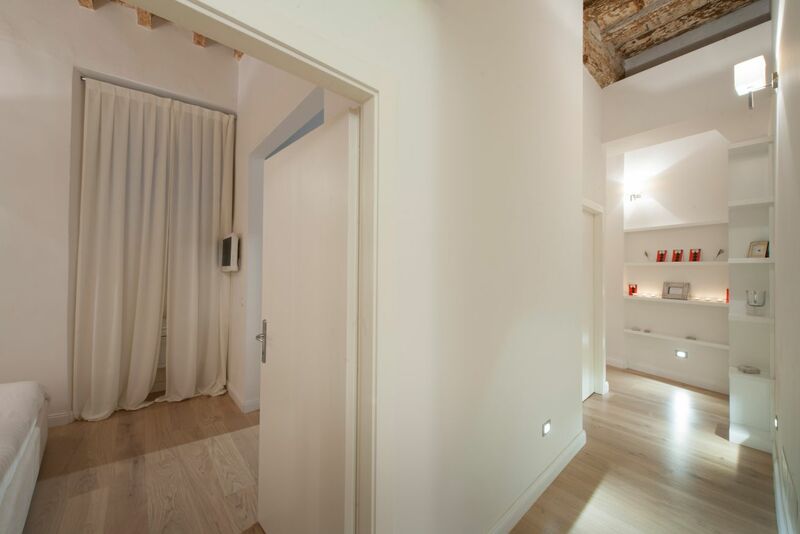 The welcoming entrance hallway leads to the main rooms, with large windows and beautiful exposed beam ceilings. 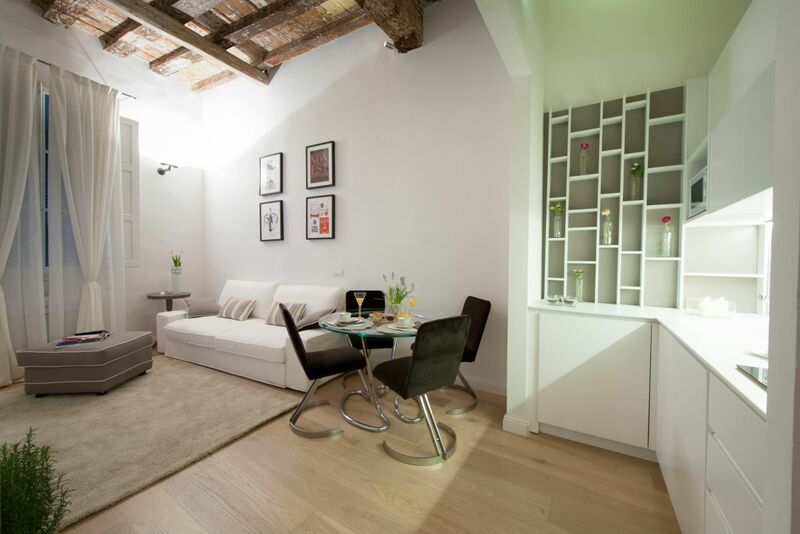 An open plan kitchen and spacious living area allow you to relax in serenity. 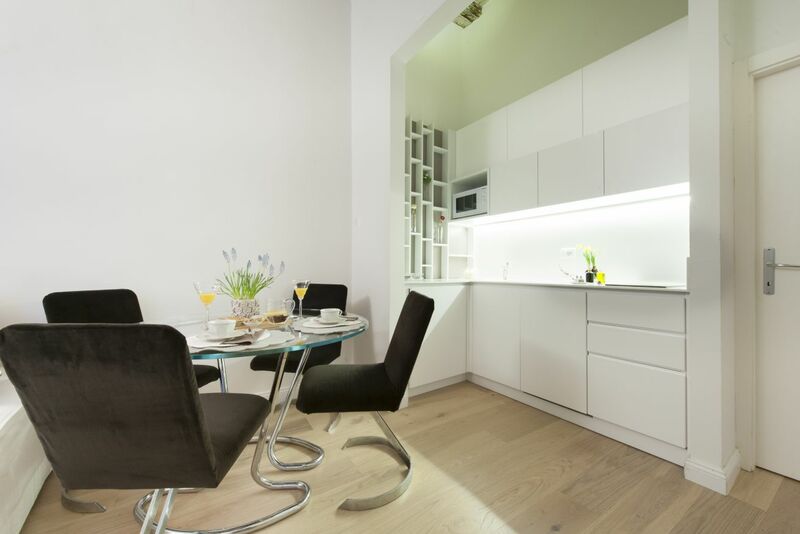 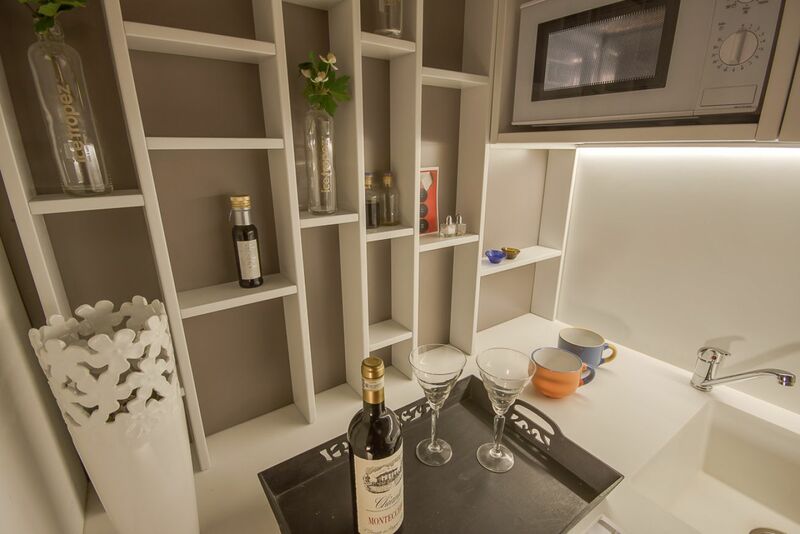 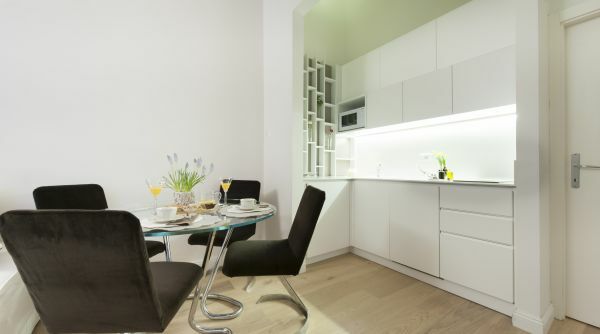 Here you will find a dining table for 4, a double sofa bed and a large flat screen TV. 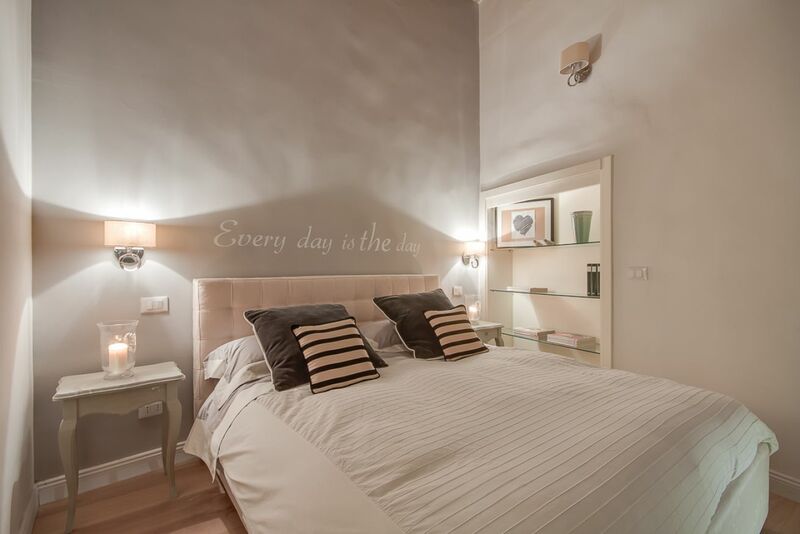 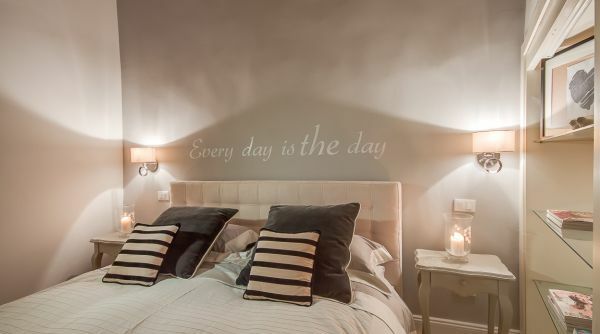 The elegant master bedroom is decorated in calming, soft colors. 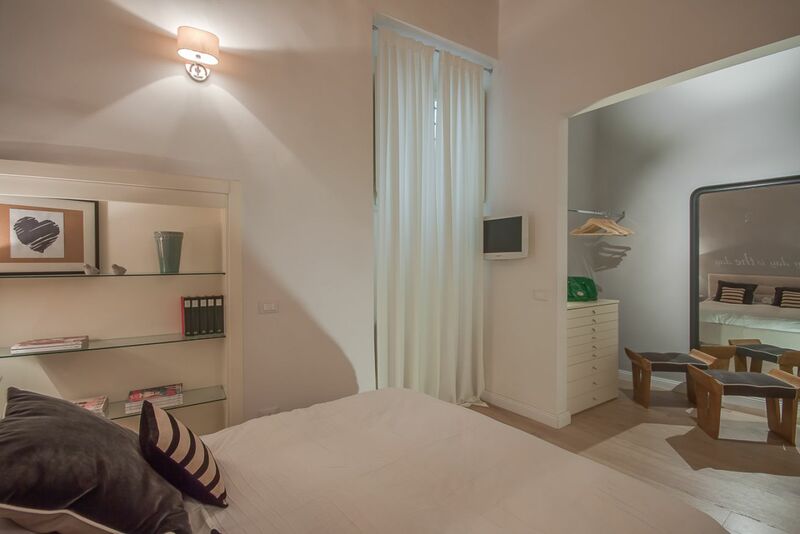 There is a double bed, a small flat screen TV and a spacious walk in closet. 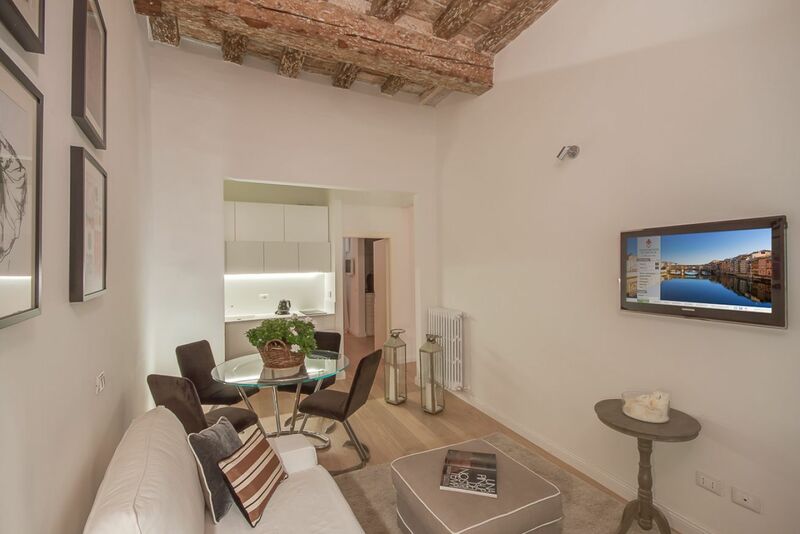 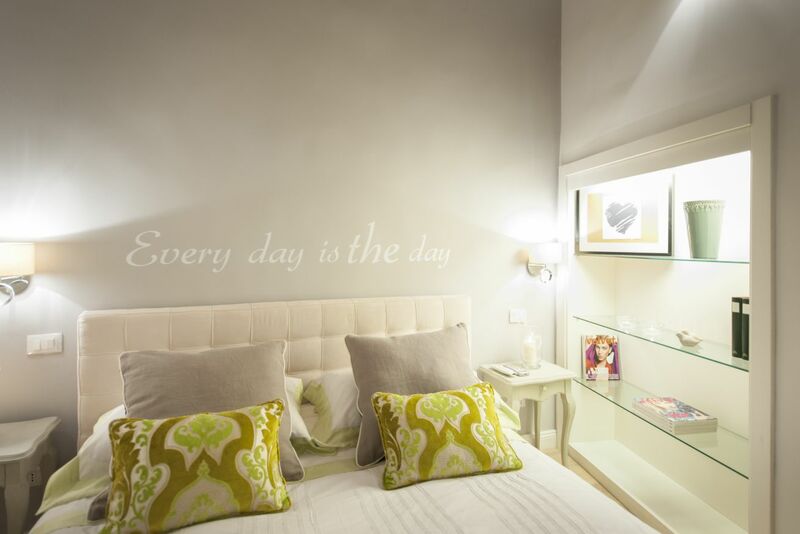 This lovely vacation apartment will provide you with relaxing moments after a full day of experiencing the splendor of Florence .